Download the complete list for FREE right now. You have a hospital website for your healthcare business, but is it giving the results you expected? Do you know how many visitors come to your website each day of the year? Is your competitor stealing your share of patients quietly without you even remotely knowing about it? At Refresh Healthcare, we have carefully crafted a list of the most sought-after hospital websites in India based on the traffic volume. The list is formulated with information garnered from Alexa Internet, as of May 22nd, 2018. How Was the List Crafted? The team at Refresh Healthcare underwent a detailed study involving the websites of more than 1000 hospitals and multi-speciality clinics. The aim of this study was to enable private healthcare providers and hospitals to know where they stand in the industry and what needs to be done in terms of marketing to reach the top of the list. The data collected by Refresh Healthcare pointed out that more than 40% of the medical practices and hospitals do not have a digital presence at all. Only 251 out of a total of 600 reviewed websites had regular visitors coming to their websites while the remaining 349, making up about 58% of the total websites, were falling behind their competitors in every aspect of digital marketing: traffic, visibility and awareness. 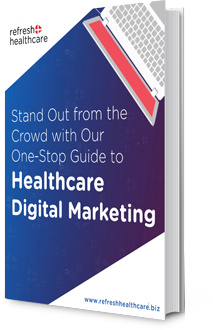 The data gathered through a thorough analysis of 600 healthcare websites suggests that the role of digital marketing and its importance today is more than ever before. The use of digital marketing helped the healthcare services in creating band awareness and thus more interest of the patients in their healthcare services. 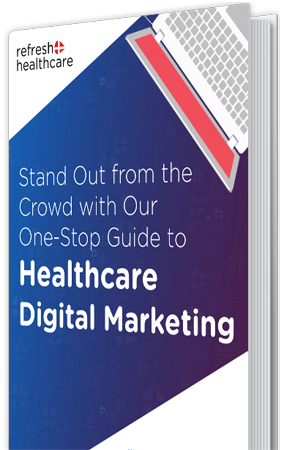 The absence of a thorough digital marketing strategy, on the other hand, is pushing hospitals and healthcare service providers back in the line and away from the masses. Do you wish to know where your healthcare website stands in popularity? Why A Good Hospital Website Matters? One of the main reasons of having a good hospital website is the fact that it is your first impression for about 77% of the people who use the internet for their healthcare research before they go on and choose any practice. As a hospital or any other medical practice, you need to have a solid online presence today more than ever before if you wish to compete with the other players in the industry. With our list of India’s most popular hospital websites, you will be able to measure where you stand and how much efforts you need to put in your digital marketing to attract, engage and connect with customers and to convert them into your loyal clients. Did your hospital website make it to the list? Download the complete list of India’s Most Popular Hospital Websites by Traffic Volume today. Not in the top 25? View the full list by requesting download for free right now.